GARDAÍ ARE INVESTIGATING after thieves stole a “substantial” sum of money from the visitor centre at the Cliffs of Moher. The money was stolen between 10pm on Sunday and 9am yesterday at the centre, one of the country’s most popular tourist attractions. Around €20,000 is believed to have been taken. It is believed the thieves cut the power to the centre before stealing the cash. The scene was preserved for a technical examination and no arrests have been made. Anyone with any information is asked to contact Ennis Garda Station on (065) 684 8100. 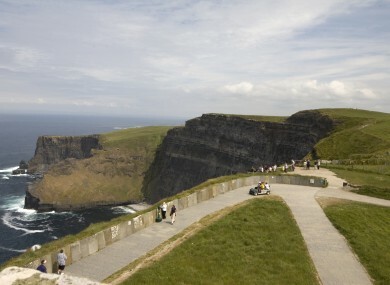 Email “Thieves cut power and steal up to €20,000 from Cliffs of Moher visitor centre”. Feedback on “Thieves cut power and steal up to €20,000 from Cliffs of Moher visitor centre”.